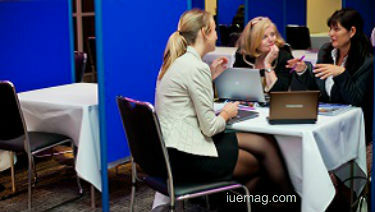 The event takes place on July 4th at the Hilton London Canary Wharf and is free for security professionals to attend. 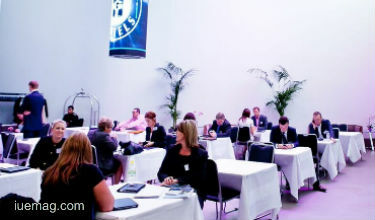 Delegates will be given the opportunity to meet with solution providers for a series of face-to-face meetings based on their own individual requirements. No hard sell and no time wasted. In addition, these security professionals will have access to a series of inspiring and educational seminar sessions. For a start you’ll have the chance to learn, first hand, how ex-fraudster Elliot Castro managed to scam call centres and individuals out of £2 million. He will present a unique seminar session, Fraud: How it’s done - and what to look out for, at the Summit. Castro was working in a mobile phone call centre in Glasgow at the age of 15 when he discovered that it was very easy to take over the credit card accounts of customers, and that he had access to enormous amounts of customers’ personal data – and the power to do what he wanted with the sensitive information. For five years he was chased by detectives and was finally caught in 2004 and sent to prison for two years at the age of 22. He had spent about £2 million. Turning his life around after he left prison, he has become a highly respected independent fraud prevention consultant. At the Security IT Summit he will give advice on how companies can avoid falling foul of fraudsters. Elsewhere, Martin Landless of Logrhythm will present Threats are evolving. A new approach to cyber security is required. This session will focus on the early detection of, and the response to threats. In addition, CensorNet’s Richard Walters will discuss Going beyond CASB to manage tomorrow’s threat landscape. He will take a look at how the increasing adoption of cloud applications is driving the market need for a context and user behaviour-driven security approach. Access to these seminars - and more - is free for all security professionals attending the Security IT Summit.